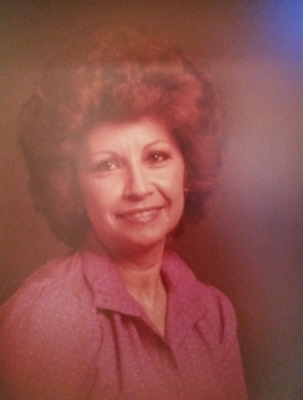 Peggy Jeanne Moydell, age 82, of Owasso, OK passed away Sunday, March 31, 2019 at home surrounded by her loving family. Born October 31, 1936 in Owasso, OK to C.E. Deatherage and Arreta M. Deatherage. She grew up in Tulsa and attended Central High School and Tulsa Community College. She started work out of high school at General Electric in Venezuela. Worked at Oklahoma Steel Castings and Unit Rig as a Human Resources Administrative Assistant and a translator on her return to the states. Peggy retired from Unit Rig/Terex/Caterpillar and loved being around her family and spoil her dogs especially Charlee. Asher, Gideon and Maria Minges. She is survived by husband Henry E Moydell, Jr; Son - Rex Villalobos and wife Debi - their children - Missie Peterson and Zach Villalobos. Daughter – Jeanne Pugh and husband Mark - their children - Chris Pugh, Mike Pugh and Lissette Minges. Sister – Sandy Mullenix; Nine great grandchildren as well as many nieces, nephews and many friends. She will be missed SO SO much but I know she will be our Guardian Angel and watch over us all. To send flowers or a remembrance gift to the family of Peggy Jeanne Moydell, please visit our Tribute Store. "Email Address" would like to share the life celebration of Peggy Jeanne Moydell. Click on the "link" to go to share a favorite memory or leave a condolence message for the family.